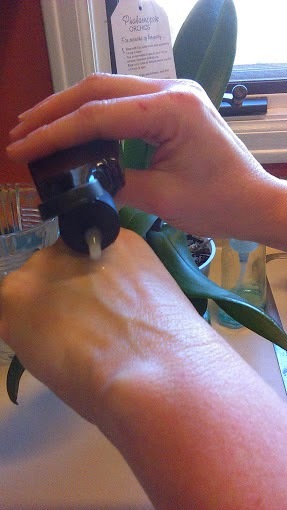 Poppy Juice: B3 & Rosemary Skin Serum Recipe - All Natural Anti-aging and Wrinkle Repair That Works! 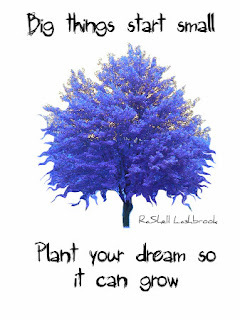 B3 & Rosemary Skin Serum Recipe - All Natural Anti-aging and Wrinkle Repair That Works! I'm always interested in effective and natural skin care, especially anti-aging products. B3 or niacinamide has been reported to effectively treat a variety of facial conditions – including acne, rosacea and wrinkles. Niacinamide is an important ingredient in many pricey skin care lines. I like skin care that does more than one thing. Any ingredient that helps beat wrinkles and acne is a winner in my book! You can read more about niacinamide as a skin care ingredient on multiple sites but the summary of what I understand is that topically applied B3 has been shown to increase ceramide and free fatty acid levels in skin. This helps to prevent your skin from losing water content. This water soluble vitamin also is believed to stimulate micro circulation in the dermis, which is the middle layer of your skin (the place where all the collagen is stored in your skin - important stuff going on in this layer that affects your skin's youthful appearance). 1) In a covered saucepan, boil rosemary with water for 3 to 7 minutes. Keep lid on and remove from heat - let sit for 1o minutes. 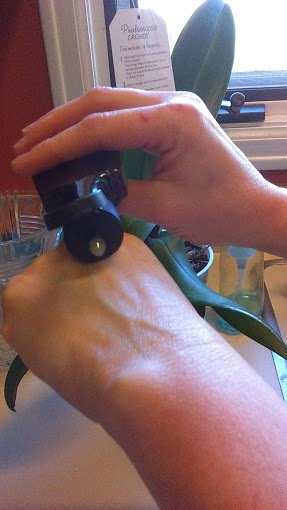 You will want to be careful not to completely boil away all of the water (like I did the first time). 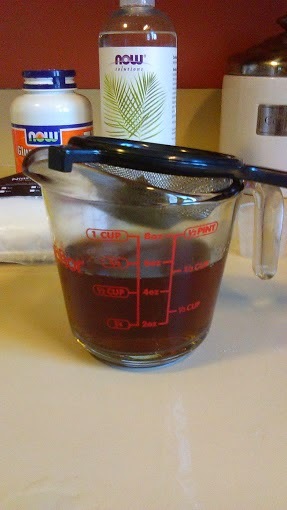 2) Pour the rosemary mixture through a mesh strainer or cheesecloth. 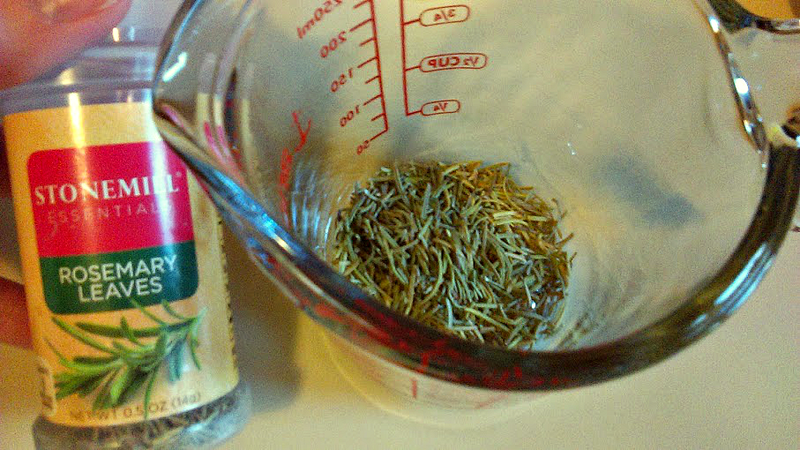 You will only need 4 teaspoons of the rosemary tea for your recipe. Save the rest to use as a hair rinse or add to your bathwater. 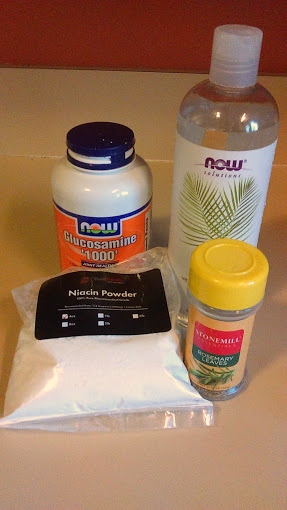 3) In a sterile glass jar with a lid, mix 4 teaspoons rosemary tea, 1 teaspoon niacin powder, 1/2 teaspoon glucosamine and 8 teaspoons glycerin. Shake until well mixed. 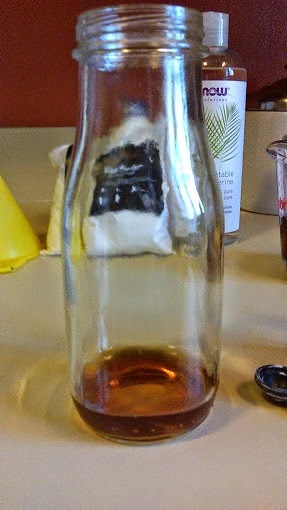 4) Using a funnel if necessary, pour serum into a dark container or jar. 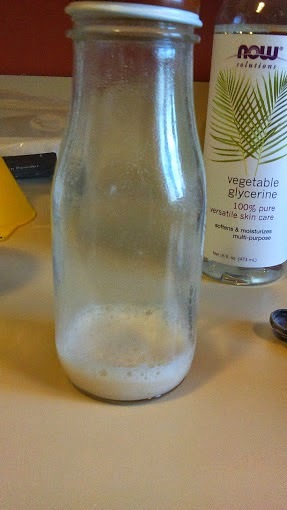 I used an empty, clean vanilla bottle. 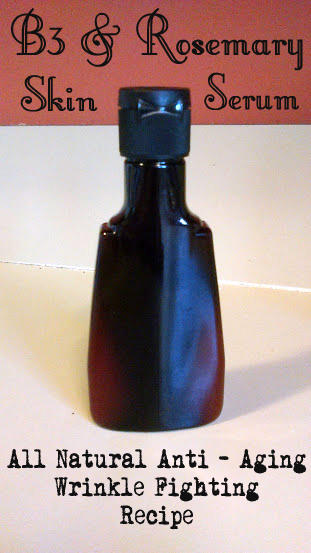 I like the spout size and the dark brown color will protect my serum from light. Here you can get an idea of the texture. It feels just like a commercially prepared serum. It smells lovely too! Apply a few drops of your serum to freshly cleansed skin both morning and night. Wait several minutes before applying any additional moisturizer or makeup. As with any skin care product, discontinue use if your skin becomes irritated. Consult a doctor if irritation persists. 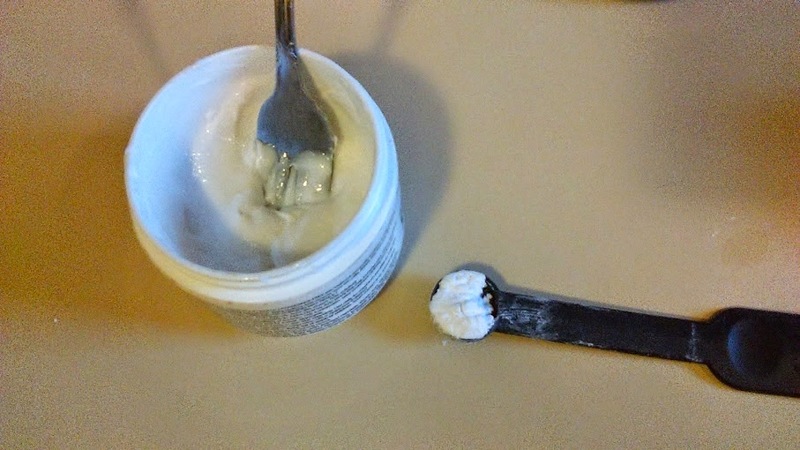 To get additional B3 in your skin care, you can also mix 1/2 to 1 teaspoon into your moisturizing cream. I added some into my Alpha Hydroxy Acid skin cream . Just use a fork or a small whisk to mix well. If you don't like the feel of a serum and prefer not to mix your B3 with your face cream, you can simply mix 1/4 to 1/2 teaspoon of B3 powder with 1/4 cup of distilled water or aloe vera juice, shake well until dissolved and put into an empty spray bottle. Spray on your freshly washed face and allow to dry. Use several times a day for the maximum benefits. Chocolate Lip Balm Recipe - All Natural & Good For You! For those of you who do not wish to make your own skin care, check out Perfectly Posh by Poppyjuice to see commercially prepared products using only naturally based ingredients. Luxurious pampering products with all of the good and none of the bad! If you liked this article, be sure to subscribe so you won't miss out on future helpful tips and tricks!